JourneyLog automatically keeps a total of your business and private mileage for each tax year which is a requirement of many government tax authorities, who can demand evidence of trip to support any tax rebate. 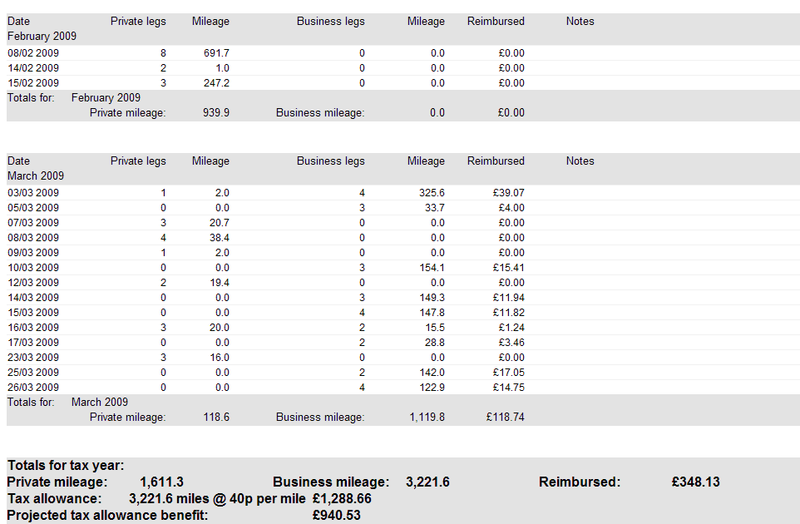 The mileage rates applicable to the type of activity makes the calculation complex (USA and UK have such complex schemes), but JourneyLog helps you keep a record by allowing different mileage rates and uses to be collated. The consolidated tax report then makes it easy to complete the appropriate sections of your P87 (UK) or F2106 (USA), which may even save some of your accounting costs!